It's an adaptation by Conor McPherson (The Weir, Shining City) of a very creepy story by Daphne DuMarier ("Rebecca") that inspired the classic Alfred Hitchcock classic film by the same name. The very small theater is completely fog-filled when the audience enters to find themselves captive (there is no intermission in the 90-minute presentation, and no way to leave without walking across the floor where the action takes place). Writer Diana (Antoinette LaVecchia -- from last season's stunning A View from the Bridge) is in a dark house where a naked, ranting man suddenly runs in. Turns out Neil (Tony Naumovski) is a former mental patient who has been taking shelter with Diana in the house. There's an even more frightening situation outside -- birds are on the attack. Between the feathered murder frenzy, survivors are forced to forage for food. Suddenly, human voices are heard among the squawking and a young girl, Julia (Mia Hutchinson-Shaw), joins the household, turning it upside down. A bit of mystery surrounds the girl and the circumstances of her arrival (and the food she supposedly "found.") More importantly, when she sets her eyes on Neil, a competition even more chilling than the birds outside challenges the humans' survival. Director Stefan Dzeparoski captures the eerie atmosphere and makes it feel interactive to appeal to a younger audience (there were a number of young folks in the audience, including some who talked incessantly behind me), much in the way Sleep No More, also based in part on a duMarier novel, does but minus the masks and having to walk around lost in a creepy house silently praying you will find an emergency exit so you can make a quick escape. Well, at least that was my Sleep No More experience. The plot seems preposterous at points, particularly where these two women would find the strange and unattractive Neil desirable. I also couldn't help wondering why these folks just didn't find a way to capture a bird and eat it instead of risking their lives to go on scavenger hunts for few cans of food (and why, when they a supply of food, they didn't just bring it all back to the house instead of few cans at a time. Why would you risk having to deal with death-by-bird more times than necessary? There is time in between their attacks which are timed with the tides. Let's just say that if the survival of the human race depends on these three, I am not holding out too much hope (and then again, maybe that's the point.) Personally, I prefer McPherson's The Weir (chilling ghost story) or Shining City -- its own brand of psyychological creepy. The fog at the beginning is really kind of overwhelming and if you are claustrophobic, this isn't the show for you. The Birds flap their wings (thanks to Ien DeNio, sound design, and David J. Palmer , video design) at 59E59 Theaters, 59 East 59th St., as part of the 1st Irish, through Saturday, Oct. 1. Performances are Tuesday and Thursday at 7:30 pm; Saturday at 8:30 pm; and Sunday at 3:30 pm. Tickets are $20 ($14 for 59E59 members): 212- 279- 4200; www.59e59.org. The design team includes Konstantin Roth (set design); Kia Rogers (lighting design); Kate R. Mincer (costume design). It's a limited engagement of the New York premiere of a play by Julia Cho, winner of the Susan Smith Blackburn Prize. Food and its ability to form bonds between people plays a central role in the play which opens the new season at Playwrights Horizons. 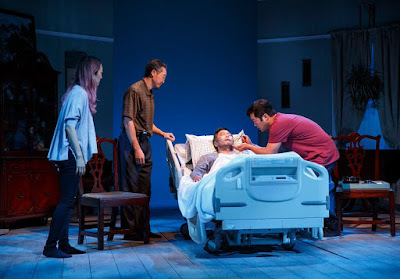 In scenes that run like vignettes, we see chef Ray (Tim Kang of “The Mentalist”), trying to take care of his dying father (Stephen Park), who never approved of his career choice. We also see the rebirth of his relationship with former girlfriend, Cornelia (Sue Jean Kim), who appreciates Ray's unique ability to anticipate just what someone craves in the way of food. Their first date (which we see in flashback) was a wild success when he somehow knew that instead of the many amazing, fancy dishes he might have been able to prepare, the thing she most wanted to taste were berries that brought her sweet memories of when she was a little girl. She helps Ray through the rough times with his father, as does hospice nurse Lucien (Michael Potts), who is full of patience and wisdom. He has seen lots of death, both by working with his patients and in losing his family in Africa. When Ray's uncle (Joseph Steven Yang) arrives from Korea to say goodbye to his estranged brother, it is with a recipe for a special turtle soup that once brought pleasure and he hopes his nephew will be able to recreate the dish -- and the memory of better times to entice his brother to stay a little longer on the planet. The lyrical language mixes a story that captures our imaginations as well as a wide range of human emotion. Kate Whoriskey's precise direction keeps all of the ingredients well blended and doesn't end up splattering the message when the timeline beaters shift. The performances are solid across the board. Kang is endearing as the son torn between unresolved feelings about his father and love and duty. We understand his pain as well as his self loathing over wishing he didn't have to deal with any of this. Kim is a nice mix of funny and caring. Yang communicates amusingly through charade-like gestures for a character unable to speak English (subtitles are projected on the back wall of Derek McLane's minimal set which transforms from a hospital to the family dining room to Korea to a restaurant). There's no language barrier, however, when it comes to the love he has for his nephew. Costume Design by Jennifer Moeller, Lighting Design by Peter Kaczorowski, Sound Design by M.L. Dogg. -- A moving rendition of "Nearer My God to Thee" is included and brought a number of "amens" from the audience. Gospel legend Sister Rosetta Tharpe (Kecia Lewis), who was a big influence on the music of Elvis Presley, Johnny Cash, Ray Charles and Jerry Lee Lewis, commands the stage once again in Marie and Rosetta, George Brant’s delightful play with music presented Off-Broadway by Atlantic Theatre Company. The two form a fast and fierce friendship, however, and realize that only divine blessing could make them sound as good as they do (the women sing and effectively appear to play the guitar and piano under the direction of Neil Pepe and the musical direction of Jason Michael Webb). For Knight, plucked by the star from a backup group where she never had a chance to try out her voice, this is the start of a whole new career, even if it means leaving her children behind to hit the road. For Tharpe, the young singer’s high voice counters her own and the sound they make together could be her ticket back into the hearts of the gospel music crowd with whom she fell out by trying to interject rock and roll with the spiritual. “You sing it for me,” Tharpe encourages as Knight is too timid to lend her voice to the jazzed up hymns, “and I’ll church it up for you,’ promising to curb her tendency to bend a lyric or two. When she uses a bad word, she’s quick to apologize to her companion -- and to God in a humorous ritual. The women bond over having been married unsuccessfully to preachers and by a need to follow their music. That journey takes them to a number of places where singers of color might be accepted on stage, but often are not in restaurants or lodging houses. The meeting here takes place in a funeral home (with the action framed in coffins by Scenic Designer Riccardo Hernández) where they have been offered a place to lay their heads down to sleep, creepy as that thought might be. Brandt is a gifted storyteller and the 90 minutes without intermission are mesmerizing. I had never heard of this duo by name, though I do know some of Tharpe’s music – “Down By the Riverside,” for example. We immediately feel like we want to know these women better. Brandt includes a satisfying twist in telling the story of how a woman who once was a big enough celebrity to fill a baseball stadium for her third wedding ended up forgotten and buried in an unmarked grave. I felt grateful that Brandt has brought her back to life for us. That thanks includes powerhouse performances by Lewis (Mother Courage) Jones (Hedwig and the Angry Inch), even though Jones’ voice was sounding a bit strained. The music is heavenly. I felt as though I had attended a worship service. The limited engagement at the Linda Gross Theater, 336 West 20th St., NYC, has been extended through Oct. 16, so see it while you can. Performances are Tuesdays at 7 pm; Wednesday through Saturday at 8 pm; Saturdays and Sundays at 2 pm. Tickets are $76.50: atlantictheater.org. Which Lights Will Shine Brightest This Fall on Broadway? Temperatures are finally dropping and along with Fall’s leaves comes another Broadway theater season. Big name stars continue to be a trend on The Great White Way as producers compete for entertainment dollars not being spent on or saved up for Hamilton tickets The smash hit continues to be the hottest, hard-to-get ticket in New York with theater goers willing to pay thousands of dollars on the secondary ticket market (and hundreds of dollars at the box office) to see Lin-Manuel Miranda’s hip-hop version of Alexander Hamilton’s life. Meanwhile, there are a lot of other good shows playing, including some hits from previous years. Stephen Karam’s The Humans, which recently had the distinction of being the only non-musical playing on Broadway. Karam’s adaptation of Chekhov’s The Cherry Orchard gets a Broadway run this fall too, starring Diane Lane. And by the way, Chekhov’s The Platonov, with a new modern translation called The Present by Andrew Upton starring Cate Blanchett, begins previews this fall for an early January opening. So what other shows are waiting in the wings? A lot of them, many of them Off-Broadway, so stay tuned to find out which ones are the best by reading the reviews posted here weekly. Meanwhile, here are some highlights of what I am looking forward to this Fall. I will list the official opening date, but most are available for several weeks before that in previews. 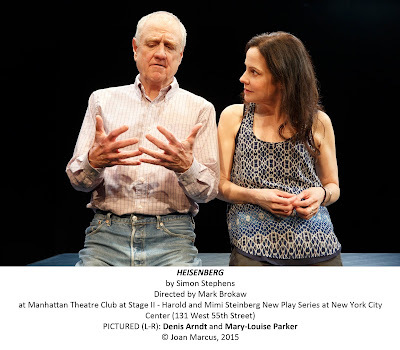 Heisenberg – Manhattan Theatre Club transfers its Off-Broadway hit from last season to Broadway. Starring Dennis Arndt and one of my favorite actresses, Mary-Louise Parker, the Simon Stephens play looks at a unexpected encounter that sparks a life-changing game between a woman and a much older man. Opens Oct. 13 at MTC’s Samuel J. Friedman Theatre. Tickets: manhattantheatreclub.com. 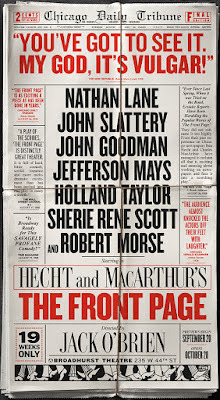 The Front Page – a revival of the 1928 comedy by Ben Hecht and Charles MacArthur about newspaper reporters will star some heavyweight names that can make their own headlines: Broadway favorite Nathan Lane, John Goodman (TV’s “Roseanne”), Jefferson Mays, John Slattery, Rosemary Harris and Sherrie Rene Scott. 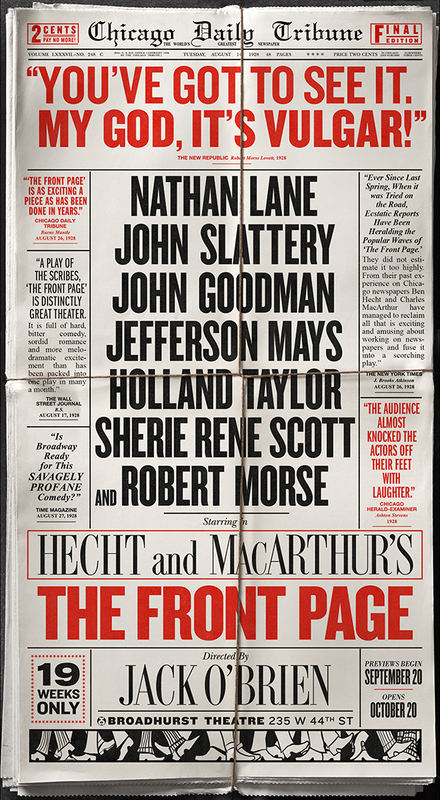 Old-time newspapers and Nathan Lane? I’m in (but as you can see from the photo above, some vulgarity might exit). Opens Oct. 20 with a run through Jan. 29, 2017 at the Broadhurst Theatre. Tickets: thefrontpagebroadway.com. Les Liaisons Dangereuses -- Christopher Hampton’s play about sexual intrigue on 18th-Century France has been a successful play and movie. This revival stars Live Schreiber and Janet McTeer, excellent casting choices for this intellectually – as well as sexually – stimulating game of cat and mouse. (You have been warned – adult content). This production is a transfer from Donmar Warehouse in London. Opening Oct. 30 with a run through Jan.22 at the Booth Theatre. Tickets: liaisonsbroadway.com. Natasha, Pierre and the Great Comet of 1812 – This modern take on Tolstoy’s “War and Peace” has one of the best opening numbers I ever have enjoyed (music and lyrics are by Dave Malloy). The show traveled around Off-Broadway a few seasons ago and now comes to Broadway with none other than Josh Groban making his debut as Pierre. Let’s just say I have had plenty of offers from people happy to be my plus-one. Opens Nov. 14 at the Imperial Theatre. Tickets: greatcometbroadway.com. 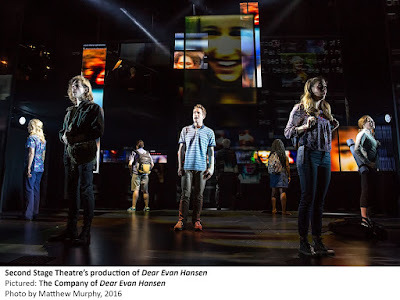 Dear Evan Hansen – This charming musical by Ben Pasek and Justin Paul, with a book by Steven Levenson, was probably my favorite show from last season. It played Off-Broadway at Second Stage and trumpeted the arrival of one of New York’s best actors: teen star Ben Platt, who took home an Obie and nominations for Drama Desk and Outer Critics Circle awards. He reprises the role along with cast originals. Opens Dec. 4 at the Music Box Theatre. Tickets: dearevanhansen.com. All the Ways to Say I Love You – Stars popular actress Judith Light as a high school teacher and guidance teacher in Neil Labute’s one-hour story of making hard choices and fulfilling desires. This is a world premiere presented by MCC Theatre at the Lucille Lortel Theatre is running now through Oct. 16. Tickets: mcctheater.org. The Band’s Visit – Presented by Atlantic Theatre Company, this new musical based on the film is directed by David Cromer. That is I need to know to want a seat as his directing and the way he can transform a piece is almost magical. This story (book by Itmar Moses) is about an Egyptian police band arriving to play a concert in Israel… Music and lyrics are by David Yazbek. It plays Nov. 11-Dec. 23 at the Linda Gross Theatre. Tickets: atlantictheater.org. Playwrights Horizons: Julia Cho’s interesting Aubergine is currently running through Oct. 2, followed by Adam Bock’s A Life, starring David Hyde Pierce Sept. 30-Nov.13. 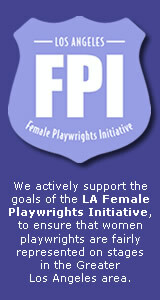 Info: playwrightshorizons.org. The Vineyard: This Day Forward Nov. 3-Dec. 18 Info: vineyardtheatre.org. Irish Rep: Brian Friel’s Afterplay now through Nov. 6 and Finian’s Rainbow Oct.26- Nov. 18. Info: irishrep.org. The Women’s Project: Stuffed by Lisa Lampanelli and directed by Jackson Gay now through Nov. 6. Info: wptheater.org. Lauren Yarger reviews Broadway and Off-Broadway theater. 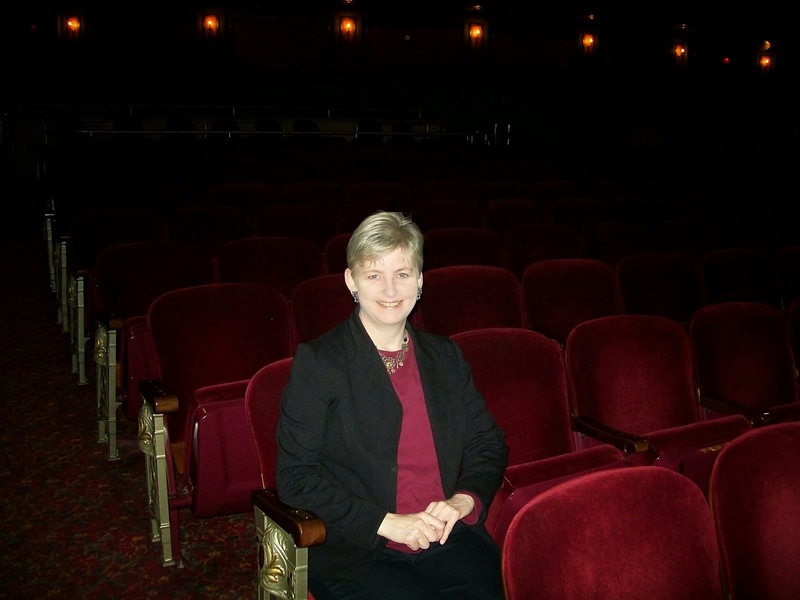 She is Second Vice President of the Drama Desk and a voting member of the Outer Critics Circle. 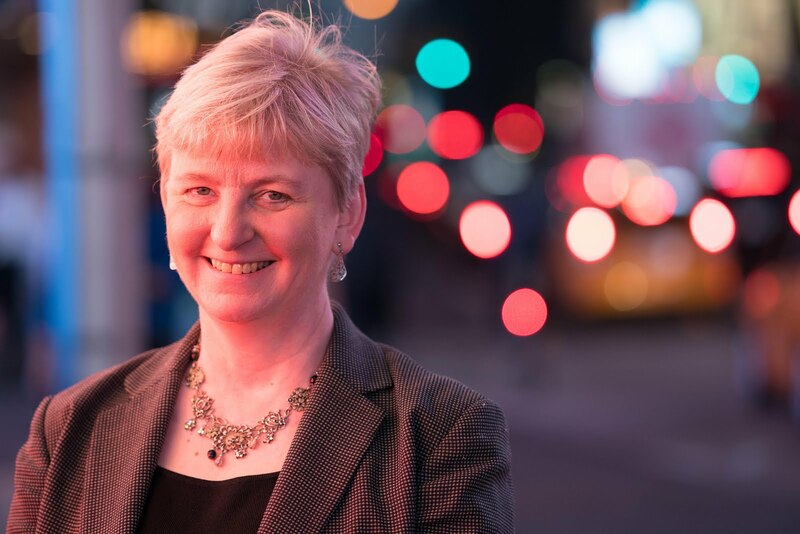 She also is a member of the American Theatre Critics Association, the League of Professional Theatre Women. 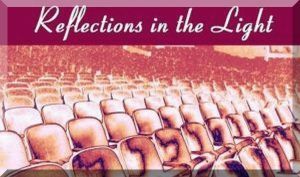 the Lambs Club, the Episcopal Actors' Guild and Christians in Theatre Arts. www.TheWritePros.com. The Broadway premiere of the musical Dear Evan Hansen will open at the Music Box Theatre, 239 West 45th St., NYC, and not at the Belasco Theatre, as previously announced. All dates remain the same; the show will still begin previews on Nov. 14 and open Dec. 4. If you purchased tickets on Telecharge.com or by phone prior to Sept. 18 you may have Belasco tickets, but you will be notified via email or telephone regarding the method of exchange to the Music Box. All previous transactions will remain intact and customers will be provided comparable and possibly identical, locations at the new location. 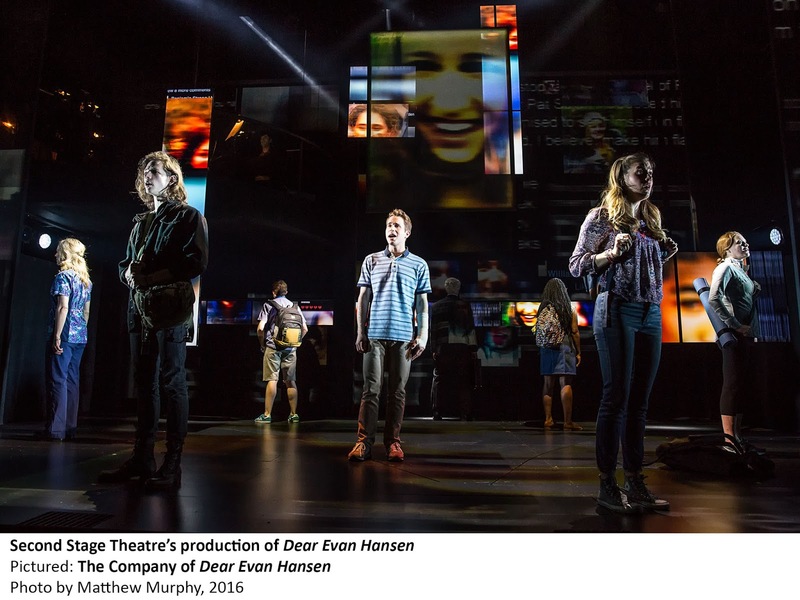 Dear Evan Hansen has a score by Tony-Award nominees Benj Pasek &and Justin Paul and is directed by Michael Greif, Ben Platt, who led the world and New York premieres of the musical, will once again star as Evan Hansen, a performance for which he won the 2016 Obie Award and was nominated for the Outer Critics Circle Award. Platt will be joined by Laura Dreyfuss, Rachel Bay Jones, Jennifer Laura Thompson, Mike Faist, Michael Park, Will Roland and Kristolyn Lloyd. 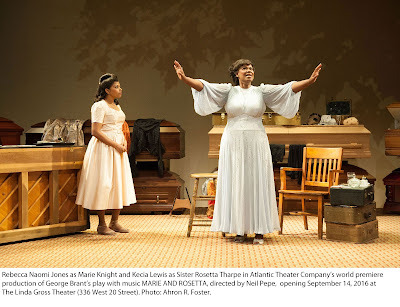 Read the review of the show's Off-Broadway production here. 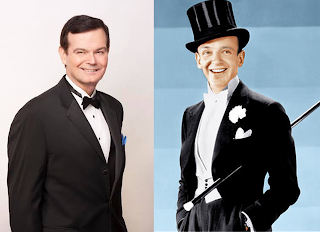 Cabaret veteran Richard Holbrook returns to Episcopal Actors' Guild Hall with a musical tribute to the legendary Fred Astaire 7 pm Monday, Sept. 19. Most remember Astaire as a singer and dancer but he was also a gifted songwriter, excellent musician, and a superb interpreter of song. The Untapped Fred Astaire Revisited features the work of composers Irving Berlin, George and Ira Gershwin, Jerome Kern and Dorothy Fields, Howard Dietz and Arthur Schwartz, and Harold Arlen and Johnny Mercer, all of whom had their music and lyrics introduced by Fred Astaire. Holbrook will be accompanied by Tom Nelson on piano. The show is directed by veteran Broadway and cabaret performer and Academy Award-winning documentary filmmaker Richard Barclay. All proceeds from the evening’s performance will benefit New York actors in financial crisis. The concert will be followed by a wine and cheese reception. Suggested donation: $15 members/$20 non-members: 212-685-2927; office@actorsguild.org.